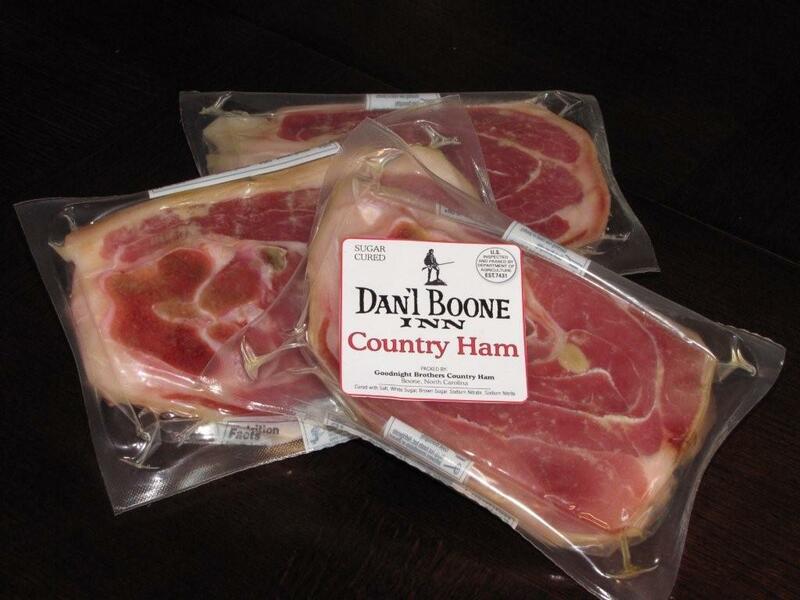 Whole Bone-in Country Ham cured with salt and sugar and packed in an old fashion net. 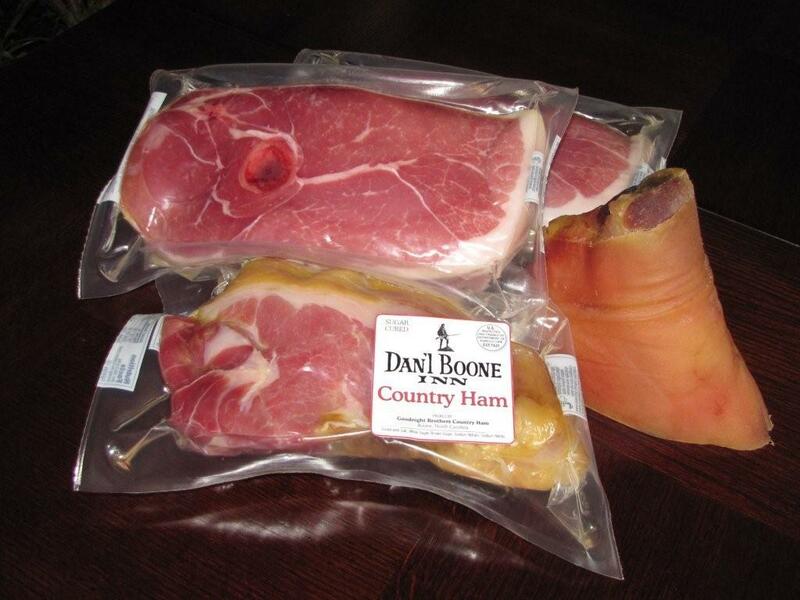 Have your country ham delivered in time for Thanksgiving or Christmas. Description: Whole Bone-in Country Ham sliced from end-to-end and vacuumed sealed in six seperate packages and includes the hock. Prepare some now and freeze some for a special occasion. 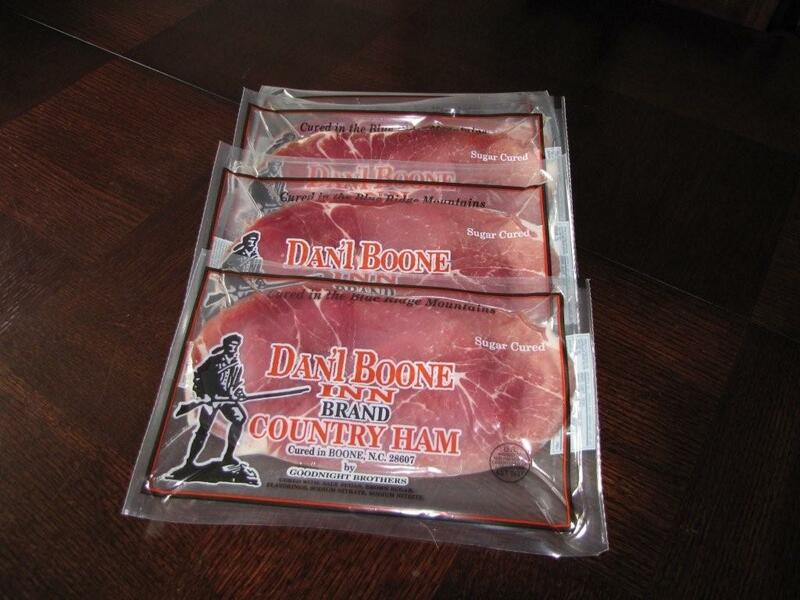 Description: Each 12 ounce package contains two 4 ounce center slices and approximately 4 ounces of end pieces. This product makes an excellent gift. Ship directly to anyone you would like or have it shipped to your doorstep and personally give individual packages to the mailman, gardener or neighbor. Pack: Half case 8 / 12 ounce packs. Description: Each 12 ounce package contains two 4 ounce center slices and approximately 4 ounces of end pieces. This product makes an excellent gift. Ship to anyone you would like or have it shipped to your doorstep and personally give individual packages to the mailman, gardener or neighbor. Description: Each package contains three ounces of thinly sliced biscuit portions. Excellent for country ham biscuits or to get creative in the kitchen...country ham and crabmeat stuffed mushrooms. Description: Each packages contains three ounces of thinly sliced biscuit portions. Excellent for country ham biscuits or to get creative in the kitchen...country ham and crabmeat stuffed mushrooms. Description: 9 - 10 3/4 lb. 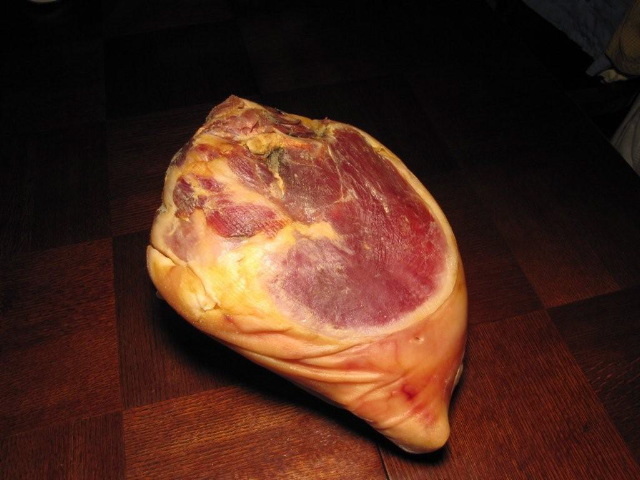 packs of sliced country ham hocks, perfect for all your seasoning needs. 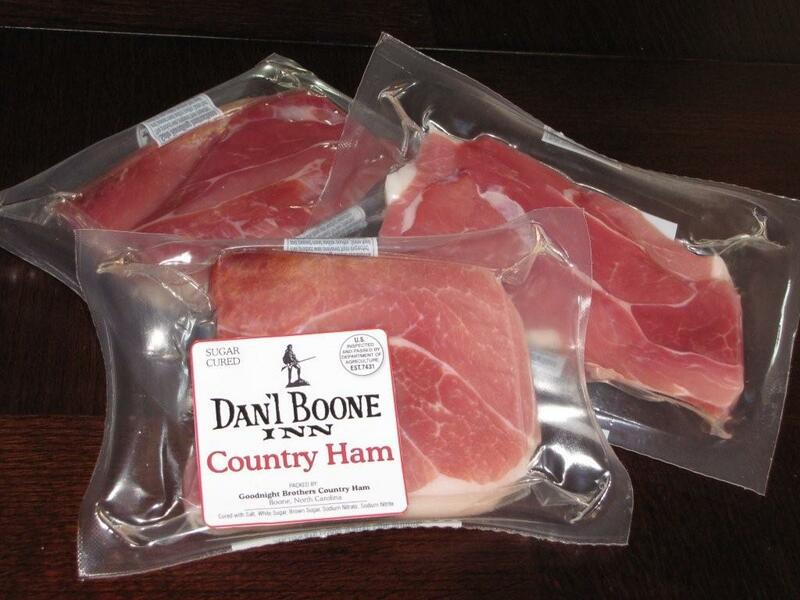 Once you serve your family and friends fresh vegetables that have been seasoned with Dan'l Boone Country Ham you will want to use it time and time again. © Dan'l Boone Inn 2009-2019. All rights reserved.